Millennials number 83.1 million and represent more than one-quarter of the nation’s population. Source: 2015 U.S. Census Bureau. Millennials have been variously described as enthusiastic, adaptable, entrepreneurial and skilled multitaskers – and as lazy, entitled and unmanageable job hoppers. What seems to have escaped the modern media machine in its zeal to define this influential generation is that they don’t appreciate being shoehorned and typecast. Particularly when it comes to the thing employers have come to count on them for facilitating technology’s integration into the workplace. They’re beginning to abhor working in a virtual vacuum. SOURCE: Chris Plummer in Ozy. There are all sorts of ramifications to thinking that the Millennial generation is markedly different from every generation that has gone before them. Nothing could be further from the truth. The way they do life, their preferred social and living settings, their skills, attitudes and environment may be different, but the key is that people’s inherent behavior and talents are hard-wired. They remain the same regardless of generation. 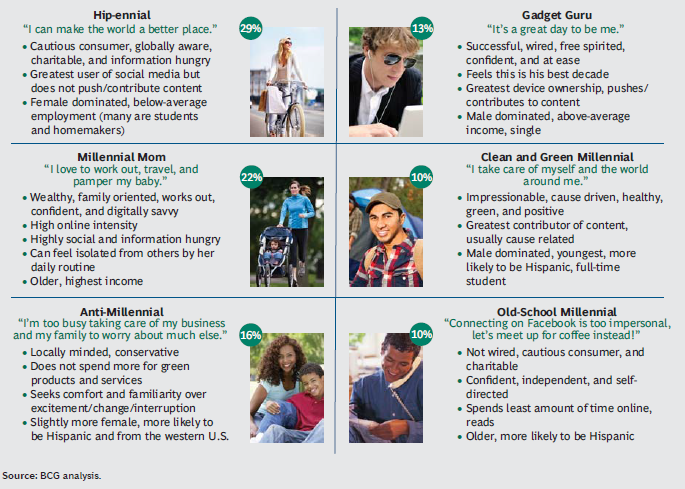 To support this thought, BCG offers the following graph and shows the segments into which they have placed millennials according to their responses to their survey. These responses go some way to revealing behaviors that demonstrate millennials are not and cannot be standardized. 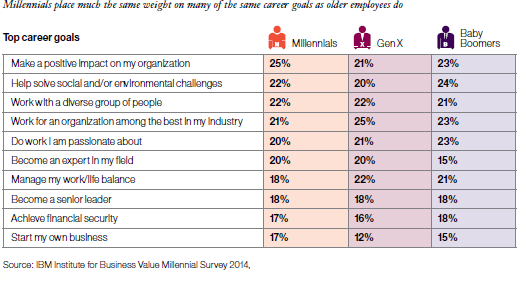 Don’t just hire and manage Millennials – lead them. If ever a generation could benefit from the wisdom held by older generations it’s this one. 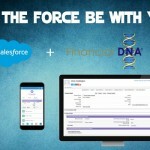 This relationship, if handled well, could significantly change the way we do business. We have so much to learn from each other. Take position out of the equation and build great relationships and teams. Mix the generations. The only difference between your Millennial employees and the older ones is their digital proficiency. They don’t know anything different. To Millennials, it’s normal to use mobile and social technologies. Where else would you go to access data, find out the latest ideas and trends, build networks, and share experiences. Fundamentally, generations never change. They are born with inherent behaviors. A person’s natural instinctive behaviors are hard-wired into the brain based on genetics and their very early life experiences in the first 3 years of life. Research shows the neural pathways in the brain become substantially set by the time a person is 3 years old, and this is when their natural instinctive style is set. Of course, a person’s behavior in particular circumstances may change or be adapted based on experiences, education, values, and circumstances. However, such temporary behavioral shifts will be based on situational modification and are not hard-wired. The Millennials are no different to any other grouping. If you want to attract them, focus on getting to know them and understanding what drives their decision-making. The vehicle they use to do business is inevitably going to change, but the essence of who they are and how they want to be treated will be no different from any other group. Don’t shy away from hiring Millennials. Don’t be persuaded by negative press. Some are positive and confident and know they can take on the world. Others seek structure and look to leadership to provide a clear vision. Still more want to be taken seriously and have a chance to share their thoughts and ideas. Many want to be part of a team, but many others prefer to work alone. How, I wonder, is that so very different from past and present work environments in which we see ourselves? Well, the truth is, it isn’t. The key is to reveal and understand inherent hard-wired behaviors. This insight will deliver a fundamental shift in thinking and enable organizations to focus on the relationship management across generations. In addition, this approach will deliver understanding into how businesses can “know, engage and grow” their clients and customers to provide customized life-long experiences that increase sustainable performance. As a baby boomer, I say let’s embrace Millennials. They keep us up-to-date on anything happening in the world. They have opinions about our nation and the world. Let’s get to know them in a way that uncovers the treasure trove of talents they have. Let’s begin by accepting that every person, regardless of age, has hard-wired inherent behaviors all of which have a place in building a successful business. To better understand each person’s unique Natural Behavior talents and how to maximize their value to your business, contact inquiries@dnabehavior.com for a free trial. 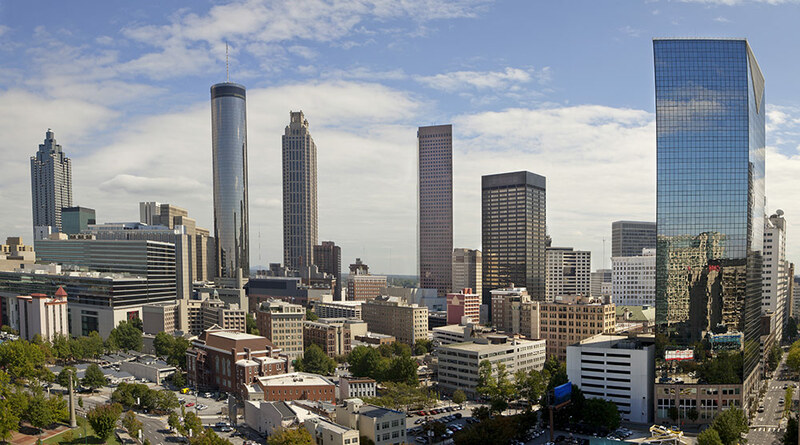 Who's Currently Atlanta's Greatest Business Leader?